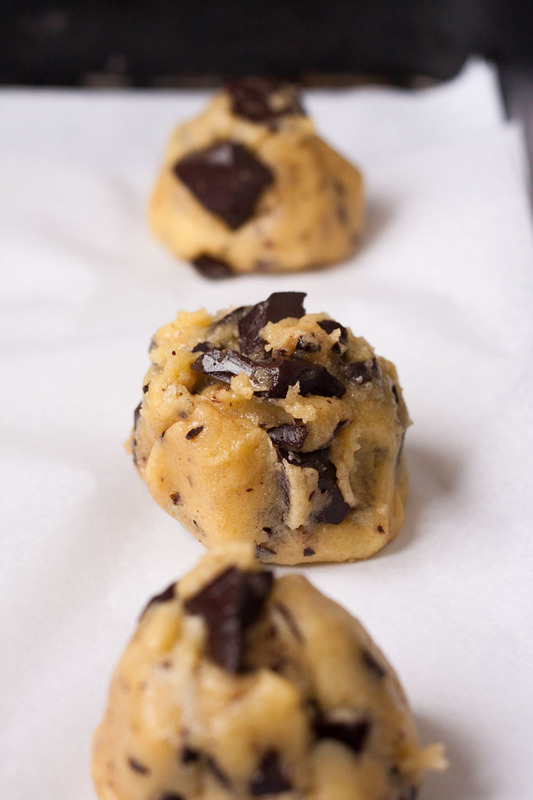 Chocolate chip cookies with sea salt - Unbelievably good! Today we are honoring the culinary talents of Kochkarussell who baked a delicious chocolate chip cookie with our original chocolate. Mia shares the secrets of her recipe and we are not afraid to admid that we are absolutely addicted to her cookies! Mia: I love cookies. There’s only one tiny problem. Waiting for the dough makes me exhausted. While the dough sets in the fridge, I like to wolf down a). a bar of chocolate or b). the package of cookies that has been lying around in the pantry forever. Emergency cookie rescue? 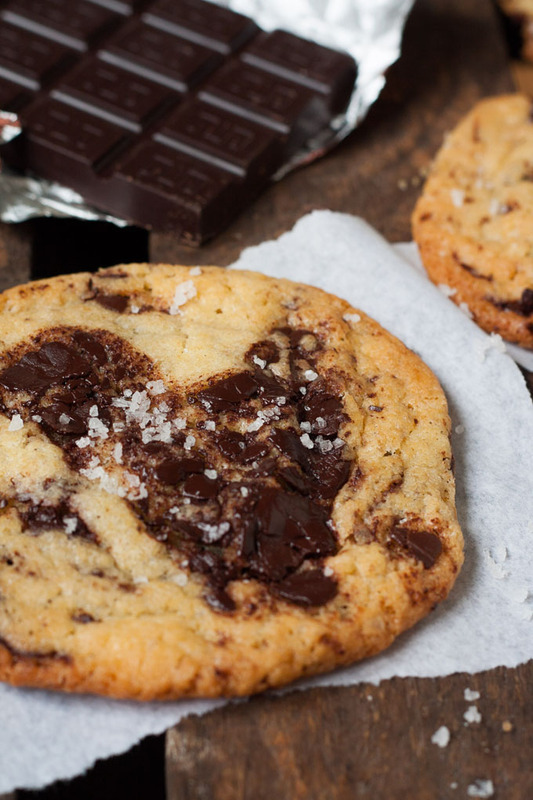 Gigantic Chocolate Chip Cookies with Sea Salt. With no waiting period whatsoever!. The most important part first: You MUST try these extra-chocolatey cookies. Sounds pretty tempting, doesn’t it? I’m telling you. These cookies go faster than you can say Oh, you gluttonous cookie monster. But it’s no surprise either. 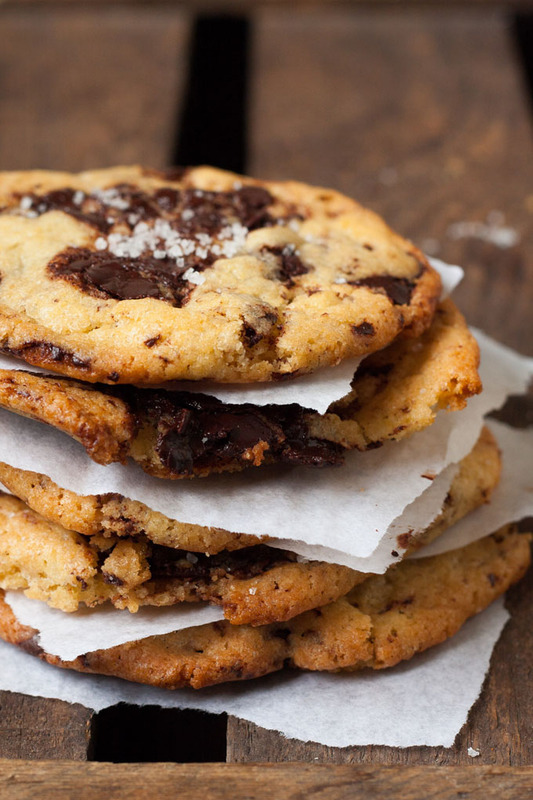 None of us can pass up crispy-soft cookies, packed with thick chunks of chocolate and sea salt, can we? Ready for my favorite chocolate cookies of all time? Let’s go! …Bake the cookies until the edge is just firm enough and a little crispy. It’s okay if the middle is still soft. And if you can hold back from nibbling even a tiny piece of the warm chocolate chip cookies with sea salt, I’ll give you a medal. At least. It’s practically impossible! The cookie recipe is for 12 portions! 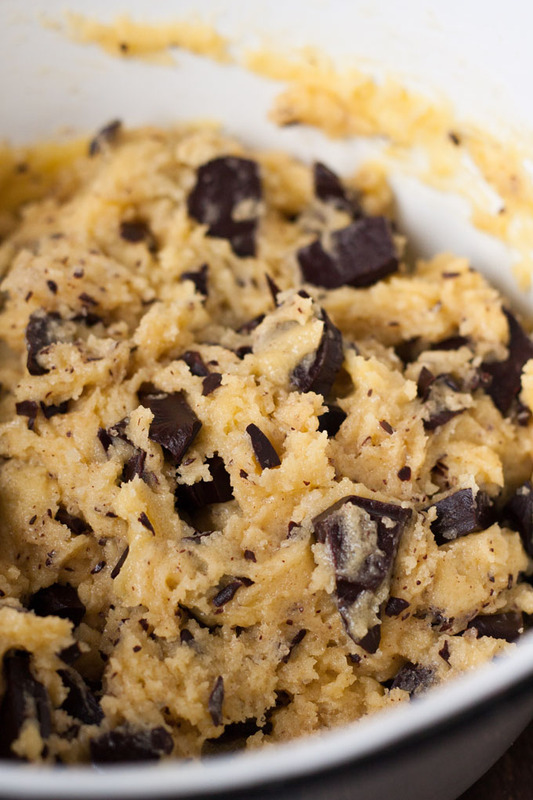 What’s important for really good chocolate chip cookies? Really good chocolate! 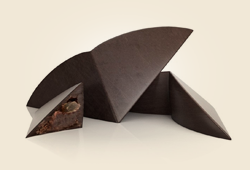 For this recipe, I have joined forces with Planète Chocolat. The Belgian chocolate manufacturer (Oh. My. God. Yes!) have absolutely knocked my socks off with their delicacies. You do know that I’m a bit of a chocolate fan. And I’ll be honest. One or two bars of chocolate have ended up in my stomach during my lifetime. But such good chocolate? Negative! And even the pralines are by far the most delicious pralines I’ve ever eaten. If I hadn’t been kneeling on the floor while taking them from their package, I certainly would have fallen from my chair. I admit that I wondered where to hide the package for a fraction of a second. These little things are really so delicious that is is prettttty difficult for me to share them. But of course, I’m also an especially strong, nice, and capable-of-sharing friend. And besides, now I know where to replenish the supply. Naturally, these chocolate delicacies aren’t exactly cheap. But: The taste! Holy Moly! I’d happily fork over a bit more dough for these. And I am quite certain: after the first piece, so will you. 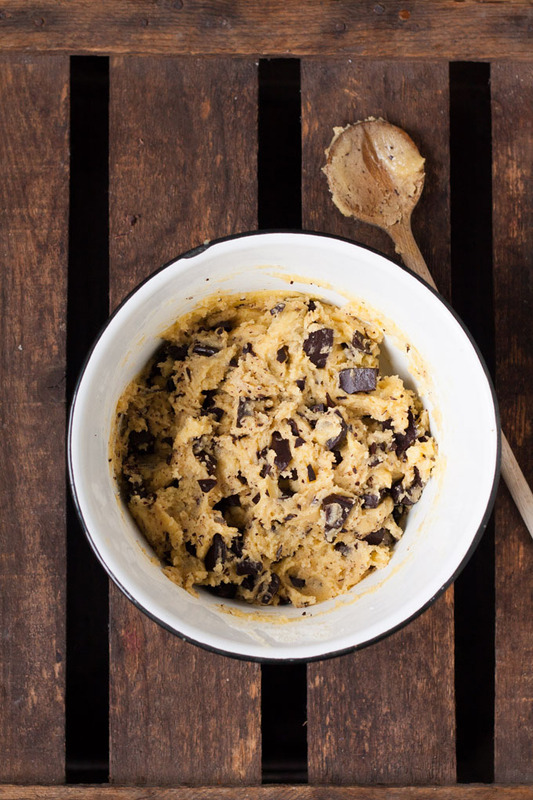 Quick, easy, and packed with thick chunks of chocolate – you are going to love chocolate chip cookies with sea salt. PS: Still looking for a great Mother’s Day gift? 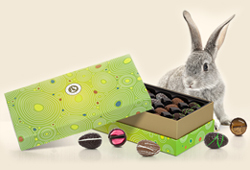 Then check out Planète Chocolat. There you will find the most delicious handmade types and I can also heartily recommend the praline selection for mom. Bonus: Delivery time takes just one day. So, get on it! 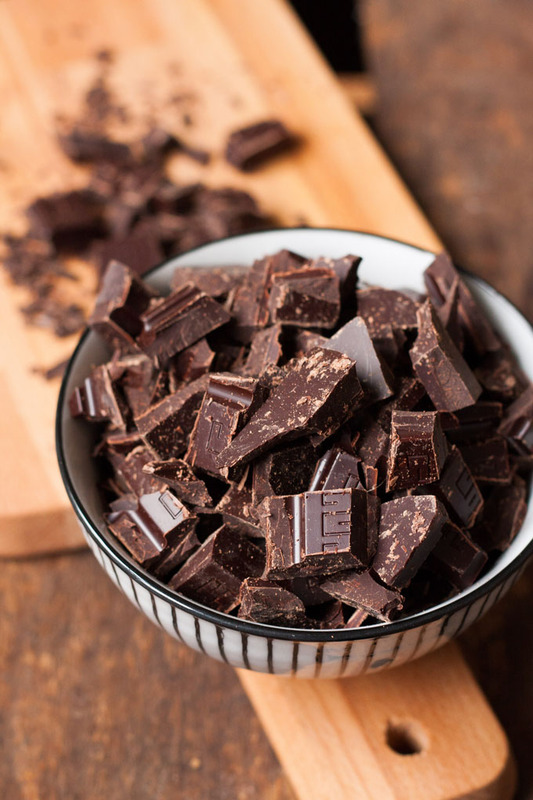 The entire Planète Chocolat team is grateful to Mia and her blog, Kochkarussell, for this delicious recipe and the extremely pleasant collaboration.